Good news travels fast in a small town, and good taste spreads nationwide and beyond. That's the hope of investors in a promising Iowa processing plant, where only the best local Angus beef will make the cut. The plant, opening under the name Iowa Premium Beef (IPB) in the little town of Tama, population 2,800, with an unemployment rate of twice the state average, will start with the goal of slaughtering 1,100 head a day and employing 600. The company hopes to start processing in November, buying up $650 million head of Angus and Angus-type steers in its initial phase. Local producers are enthusiastic, says company CEO Jeffrey Johnson, and conditions are right to succeed where previous attempts at maintaining a packing plant here have failed. "We have some of the best cattle feeders in the area and the genetics are here, and our people are passionate about what they do. We have spent the last year talking with feeder family farms in our area. We have built a state of the art facility and we have experienced managers. The genetics are here and we have some of the best cattle feeders around. Iowa is number one in growing corn and statistics show cattle are being pushed north. We expect demand for Iowa beef to increase." Hiring the right people is pivotal to success, he said, and the four managers have an average of 35 years experience apiece in the industry. Last year 1.2 million cattle were marketed within 150 miles of the plant. Sourcing locally will give the company the edge on quality, Johnson says. "By giving the local people another option, and making that trip on the animal shorter and less stressful, our beef will grade high." The IPB label looks select, and that's by design. The new packing plant will be able to sell Certified Angus Beef. The Certified Angus Beef® brand requires product pass 10 points, from marbling to color, and be at least 51 percent Angus. Equipped to use halal slaughter practices, it will also serve an ethnic market. Poised to export to 43 countries but keeping two-thirds of its business domestic, IPB feels it has a winning strategy for consumers who want a good product. So does Sysco Corp, and that's why it kicked in $50 million to build the high-tech facility. The redesign reincarnates a shuttered slaughterhouse once owned by Tyson Foods. An addition makes room to store fresh and frozen meat. According to the American Angus Association (AAA), there is growing supply and demand for the typically black cow. AAA reports show tens of thousands of angus being raised in the Dakotas, Montana, and Wyoming. IPB has been talking to local feeder farms specifically about the supply, but market analysts foresee more cattle being finished on Iowa ground. Industry reports say the state had 670,000 head on feed in feedlots of 1,000 head and larger earlier this year. That's an increase over last year. 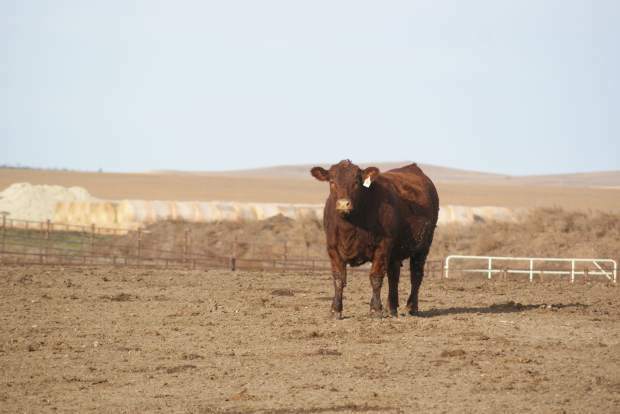 Feedlots marketed more than 950,000 head in 2013. Smaller feedlots add more animals to the market. USDA reports show meat is still the single largest product in food and beverage manufacturing in the U.S. Meat is the industry's largest value added category, and employs nearly one third of food and beverage workers nationwide. Down the road at the local cook-your-own-steak outfit, Rube's Steaks, the new plant is creating a buzz. The Montour, Iowa steakhouse buys local beef and ages it to perfection. "The fact that the plant is opening up locally, this is a good selling point for us," said assistant manager Rick Burchard recently as the dinner crowd rolled in. Tama is a sleepy town down the road from the county seat, Toledo, Iowa, where the first cows shipped to the region came by rail in the 1800s. Previous operators at the plant have struggled to keep a viable business going since the 1970s, and the area as a whole has seen some hard times. But the Iowa of today, which is opening a second plant in the northeastern part of the state, has become more competitive as packers compete for the best cattle. LimeSprings Beef hopes to open next month in northeast Iowa, focusing on another market. Its customers will be able to trace their beef right back to the cattle's farm of origin. The plan will proces 80 head a day, producing "natural" beef. The Tama plant previously closed in 2004, under the name Iowa Quality Beef.